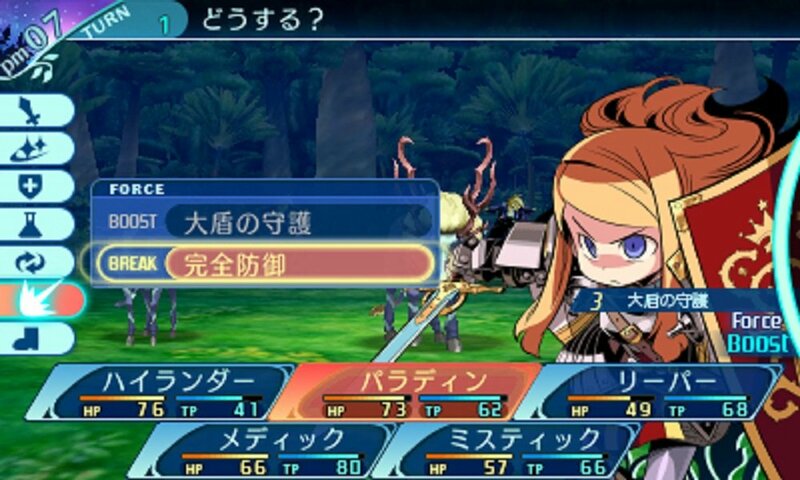 Atlus have announced (via livestream) the final 3DS entry in the Etrian Odyssey series, titled Etrian Odyssey X (Cross). The title is a combination of various elements of previous Etrian Odyssey titles including all classes from previous games, sub-classing and optional dungeons. There are also multiple new elements being introduced like a world map, the new “Hero” class and the “Force Break/Force Boost” systems. Adventurers all over the world. Gather in the flying city of “Maginia,” and aim for the treasure on the remote island in the distant sea. Under the decree of Princess Persephone, adventurers gathered in the flying city of “Maginia.” Wealth, honor, and possibly unknown adventure lies dormant in “Lemuria.” Keep your pride in your heart, and move forward—. Create your party from 19 classes, including every class from previous Etrian Odyssey games and the brand-new “Hero” class. Many untrodden labyrinths lie dormant in the new setting of “Lemuria, the Remote Island of the Distant Sea.” The volume of the game is the greatest in the series thus far. Draw maps to your heart’s content! Can you solve the mystery of an ancient civilization? A crossover of the series’ systems make for the highest quality game. Systems include character creation, sub-classes, Force Boost / Force Break, and difficulty levels. Systems unique to the series such as drawing maps with the stylus are also present. Furthermore, some new tidbits about the new title have been shared in this week’s issue of Weekly Famitsu via an interview with director Shigeo Komori. Etrian Odyssey V was positioned as a culmination title created under the direction of “challenging new things.” On the other hand, however, Komori felt that there were many fans who expected a direction that compiled the best parts of previous entries in the series. 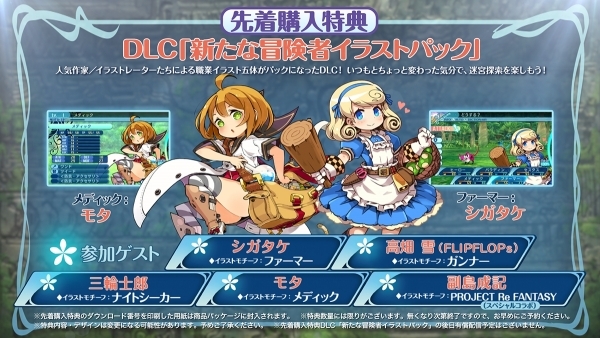 So, they decided to make Etrian Odyssey X as another culmination title. Lemuria, the setting of Etrian Odyssey X, is a land isolated from other continents. A sea of trees familiar to adventurers of previous Etrian Odyssey games is spread out around the Yggdrasil Tree at its center. However, caution is necessary as knowledge of previous dungeons may backfire. Elements that will put a grin on the faces of experienced Etrian Odyssey players are also being prepared. Etrian Odyssey X implements a world map, which Komori has wanted to do since previous Etrian Odyssey games. It is dotted with various labyrinths, and meeting specific requirements will unlock new places and cause events to occur. The game has the largest volume of the series yet, including labyrinths that are not required to clear the game. While having a newness not buried within existing classes, the new “Hero” class was set to be a class full of protagonistic sense. It is an all-purpose type that can easily handle attacks, defense, and even recovery. Force Boost and Force Break systems are being introduced to better bring out the strong points of the main class. Etrian Odyssey X will release in Japan on 2nd August for 6,480 yen.